'MLM' The American Dream Made Nightmare: Reporting the 'Herbalife/MLM' Trojan Horse. Deception. Pernicious cults are presented externally as traditional associations. These can be arbitrarily defined by their instigators as almost any banal group ('religious', 'cultural', 'political', 'commercial,' etc.). However, internally, they are always totalitarian (i.e. they are centrally-controlled and require of their core-adherents an absolute subservience to the group and its patriarchal , and/or matriarchal, leadership above all other persons). By their very nature, pernicious cults never present themselves in their true colours. Consequently, no one ever becomes involved with one as a result of his/her fully-informed consent. Self-appointed sovereign leadership. Pernicious cults are instigated and ruled by psychologically dominant individuals, and/or bodies of psychologically dominant individuals (often with impressive, made-up names, and/or ranks, and/or titles), who hold themselves accountable to no one. These individuals have severe and inflexible Narcissistic Personalities (i.e. they suffer from a chronic psychological disorder, especially when resulting in a grandiose sense of self-importance/ righteousness and the compulsion to take advantage of others and to control others’ views of, and behaviour towards, them). * They steadfastly pretend moral and intellectual authority whilst pursuing various, hidden, criminal objectives (fraudulent, and/or sexual, and/or violent, etc.). The admiration of their adherents only serves to confirm, and magnify, the leaders’ strong sense of self-entitlement and fantasies of unlimited success, power, brilliance, beauty, ideal love, etc. · has a grandiose sense of self-importance. · is preoccupied with fantasies of unlimited success, power, brilliance, beauty, ideal love, etc. · believes that he/she is special and unique and can only be understood by other special people. · strong sense of self-entitlement. · takes advantage of others to achieve his/her own ends. · is often envious or believes that others are envious of him/her. Whilst these opinions can all seem valid to the ill-informed, the underlying facts prove them to be nothing more than ego-protecting self-deceptions which completely miss the point. It’s easy to understand that ‘knowledge itself is power,’ but it’s altogether harder to accept that (by the same token) ignorance is vulnerability. Obviously, cults never announce themselves, but their many disguises continue to adapt to mirror the changing spirit of the times. Throughout the ages, a dangerous minority of mythomaniacs, charlatans and would-be demagogues have always been able to get their human prey to sail blindly into positions of subjection, by first bedazzling them with all manner of false beacons which seemed so welcoming and authentic that the majority of people could not have been expected to determine exactly what was lurking behind them. Even though most of us want to deny it, at a moment of weakness all of us can need to listen to the latest cultic voice of insanity; especially when it appeals to our existing beliefs and instinctual desires, and originates from the apparent face of reason. To casual observers, the phenomenon might seem to be a ridiculous anachronism, but cultism or occultism has survived the tide of history and continues to wreck countless lives, simply because its instigators keep updating the lyrics of their siren song. Totalitarianism itself is enduring, its camouflage is ephemeral. Young children’s unconscious acceptance of ‘Santa Claus’ as total reality, stems from a fictitious scenario reflected as fact by the traditional culture in which they live. Up to a certain age, children are not equipped to challenge the model of reality offered to them by authoritarian figures within their family groups; particularly, their parents. Therefore, once children have been converted to a self-gratifying, non-rational belief in ‘Santa,’ the truth (that they are actually being deceived by the people whom they instinctively love, trust and follow) is unthinkable. The scenario can then be expanded to modify children’s behaviour — ‘Santa’ has magical powers… he can see and hear everything they do at all times… he will reward them for unquestioning belief and punish them for dissent. Only when they attain the necessary level of intellectual/psychological development, can children begin to use their critical and evaluative faculties and come to realise that ‘Santa’ is merely a game of make believe. If you think about it, what I’ve just described is the most elementary form of self-perpetuating, non-rational/esoteric, ritual belief system - perfectly tailored to fit infantile minds, and reliant on the maintenance of an absolute monopoly of information presented using a constant repetition of reality-inverting key words and images combined with pseudo-scientific mystification and closed-logic. Prior to publication, a number of people were given unfinished copies of this booklet to appraise. Although no reader could refute its content, the reactions of a minority were split into two groups; these were as different as chalk and cheese. Those who had already survived a direct personal experience of cultism devoured it. Others, who had never knowingly encountered the phenomenon, found the booklet less easy to digest; they generally described its tone as ‘alarmist.’ One man (a middle-aged, American academic) was sure that it had been written by a naïve soul who had suddenly discovered the world to be a cruel place, and who now wanted to shout about it. Several years ago, when I was naïve, I might have agreed with him. In fact, I now blush when I remember a conversation I once had with a senior citizen of the Czech republic (a survivor of rule by the ‘Nazi’ and ‘Soviet’ myths), in which I coolly dismissed his passionate contention that any country whose own citizens mistakenly believed themselves to be immune to totalitarianism, faced the greatest risk of from it. Today, in the light of a traumatic personal encounter in Europe with the large, American-based cultic group known as 'Amway,' I have come to understand that I could not have been more wrong. However, many of the crass opinions which cultism continues to attract are completely predictable, because, even as adults, we all instinctively want to shut out of our minds any information that disturbs our habitual model of the world. Sadly, anyone who searches for the truth about cultism, and who then speaks plainly, is forced to ask a lot of people to think the unthinkable - so I make no apologies for this. '(a 90%+ failure rate)... doesn't mean that... that... that doesn't mean that the company ('Herbalife') made misrepresentations. And it doesn't mean that the people who... who bought these... franchises or participated in these schemes necessarily feel that they were injured. I... look, I don't know what the failure or success rate of new businesses are in the United States. But it is not high. And when we get consumers who are willing to tell that story, and the sufficient number of them who are willing to stand up and be counted, then we can do something about it. 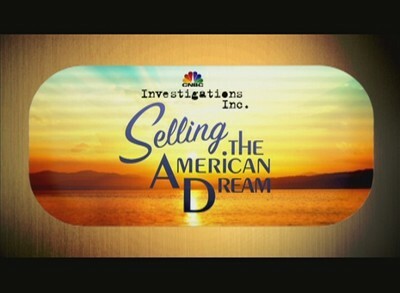 I was recently contacted by someone who had been watching Herb Greenberg's investigative piece for CNBC, entitled: 'Selling The American Dream,' and who was amazed that the word, 'cult,' did not feature? This same person made the insightful observation, that Herb Greenberg's presentation was itself a testimony to the mainstream media's ignorance of the cult phenomenon. 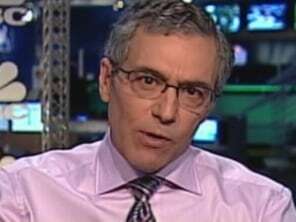 In defence of Herb Greenberg, I would say that, because he is a veteran financial journalist (and subordinate to CNBC's attorneys), he is probably one of the last people who should have been expected to produce an intellectually-rigorous investigation of cultic groups hidden behind reality-inverting 'commercial' camouflage. 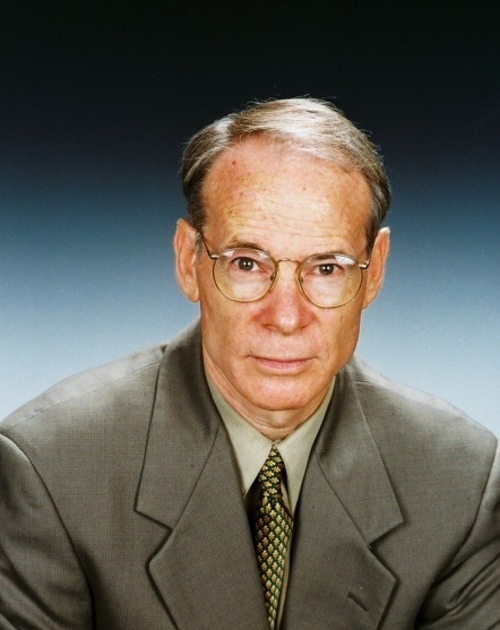 Sadly, although (to his credit) Herb Greenberg did begin to ask some of the right questions and to give viewers a warning that dragging the bedazzling fairy story entitled 'MLM Income Opportunity,' into their homes, families and communities, can cause severe damage to their lives: in the final analysis, his far-from-intellectually-rigorous investigation for CNBC was the equivalent of a horse expert attempting to explain a Trojan Horse, but mostly using an equine vocabulary. In reality, more than half a century of quantifiable evidence, proves beyond all reasonable doubt that what has become popularly known as 'Multi-Level Marketing' is nothing more than an absurd, cultic, economic pseudo-science, and that the impressive-sounding made-up term 'MLM,' is, therefore, part of an extensive, thought-stopping, non-traditional jargon which has been developed, and constantly-repeated, by the instigators, and associates, of various, copy-cat, major, and minor, ongoing organized crime groups (hiding behind labyrinths of legally-registered corporate structures) to shut-down the critical, and evaluative, faculties of victims, and of casual observers, in order to perpetrate, and dissimulate, a series of blame-the-victim closed-market swindles or pyramid scams (dressed up as 'legitimate direct selling income opportunites'), and related advance-fee frauds (dressed up as 'legitimate training and motivation, self-betterment, programs,' etc.). This initially- unconvincing, but nonetheless destructive, cultic Trojan Horse was first built inside the USA by a gang of narcissistic charlatans right under the noses of ill-informed federal regulators, who (by failing fully to identify, let alone dismantle, it) have actively assisted in dragging it ever-deeper into the heart of the Republic and many other countries around the globe.